Here's what happened: In mid-July, an editor from the venerable LGBTQ magazine [The Advocate] responded to my story pitch and asked me to write an op-ed on pinkwashing and the 51-day attack on Gaza, which Israel dubbed Operation Protective Edge. After submitting an article, I received a revised draft that included heavy political editing. I was told the article would be published if I agreed to these changes. The edits included the removal of the words "apartheid," "occupation" and "colonialism," and the addition of a sentence condemning Hamas. 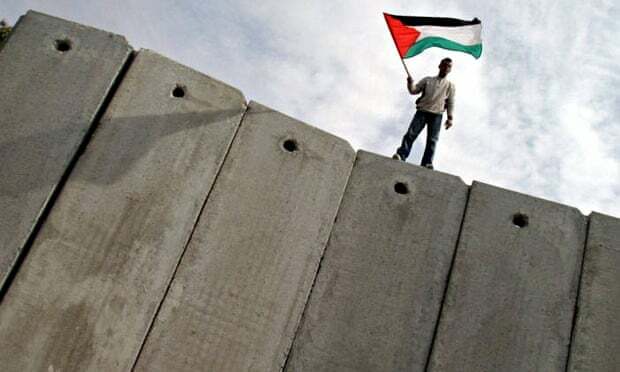 First, the sentence they inserted about Hamas had to be removed because in my mind, it seemed to equate Israel's massive bombardment of a besieged, occupied territory that eventually killed more than 2,100 Palestinians, with Palestinian resistance. I thought it was particularly important to get a piece into The Advocate because on July 9, just two days after the Israeli attack on Gaza began, it published an article titled "Why LGBT People Around the World Need Israel," lauding the state as a supposed haven of gay rights. "Unless we want the Middle East to turn into an absolute free-for-all controlled by extremists who want to kill us and turn women into their slaves, then we need to do everything we can to protect Israel and stand in solidarity in any way we can," the piece stated, as U.S.-supplied Israeli bombs fell on Gaza, wiping out entire families. "Not only is it in our interests, but Israel deserves it after all it has done for us," the article added. Israel and its supporters in the U.S. government and the corporate media would have us believe that this highly uneven conflict is justified because the only democratic society in the Middle East has the right to defend itself. The existence of some legal reforms for LGBT people in Israel is regularly touted while promoting this idea. But while Israel has relationship recognition policies, and it allows gay, lesbian and bisexual people to serve openly in the military, those things matter very little when we're talking about issues of war and occupation. At the end of the day, promoting Israel as a gay paradise is ultimately just a publicity blitz. It's an effort by Israel to demonize and scapegoat Palestinians as backward and homophobic and to portray Israel as progressive and tolerant in order to justify the country's horrific tactics.